The Nissan Murano features an aerodynamic exterior shape and an interior that keeps your passengers comfortable at all times. Drivers who live or work near Coventry and North Attleborough are starting to notice the innovative features that the Nissan Murano has to offer. 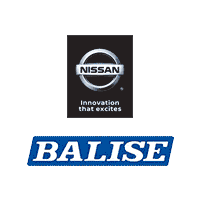 Now’s your chance to visit Balise Nissan of Warwick to test drive the trim level of your choice. No other SUV compares to the new Murano thanks to its power outside mirrors with LED turn signal indicators and LED Daytime Running Lights. For even more styling, add on the power panoramic moonroof that reaches over both rows of seats. The best part is Nissan’s engineers have worked hard to create quiet ride so that you can travel in comfort. If you think the exterior is impressive, just wait until you jump inside. Nissan’s Zero Gravity Seats were inspired by space-age technology and can help reduce fatigue so that you can spend more time out on the road. Rear seat passengers can recline their seats and activate their available heated seats. These seats also cool for those scorching summer days! Also in the back, rear passengers will have their own first-in-class available rear USB outlet. The Nissan Murano is available now available at Balise Nissan of Warwick. Stop by and see us at 1350 Post Road in Warwick, RI to test drive yours. We’re just a short drive from Providence, Cranston, and Pawtucket. For more information about our Murano or any of the new vehicles in our inventory, please feel free to contact us online.